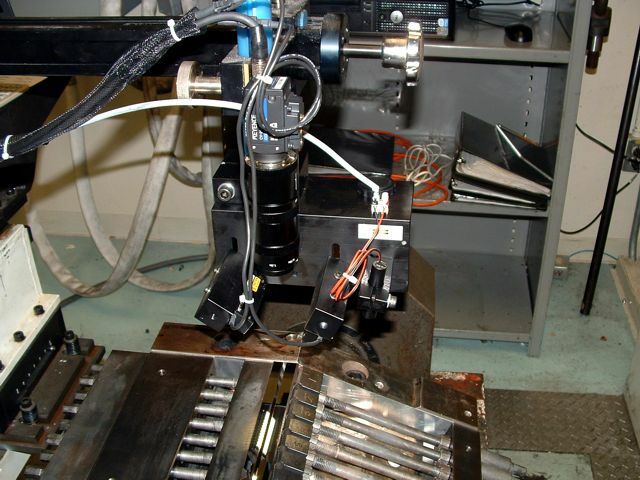 A Keyence high-resolution camera with dual LED lights is mounted above an extrusion die and focused on the opening gap. 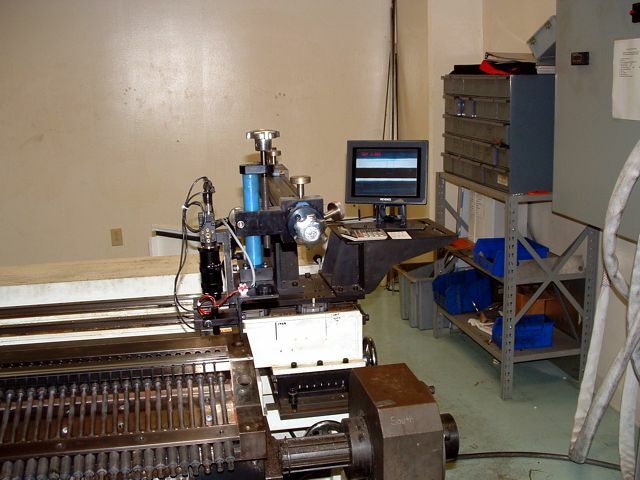 The vision system monitor is mounted alongside the camera so the operator can see the actual measurement during gap width adjustment. The camera sees the gap as the bold black line in the center of the screen. 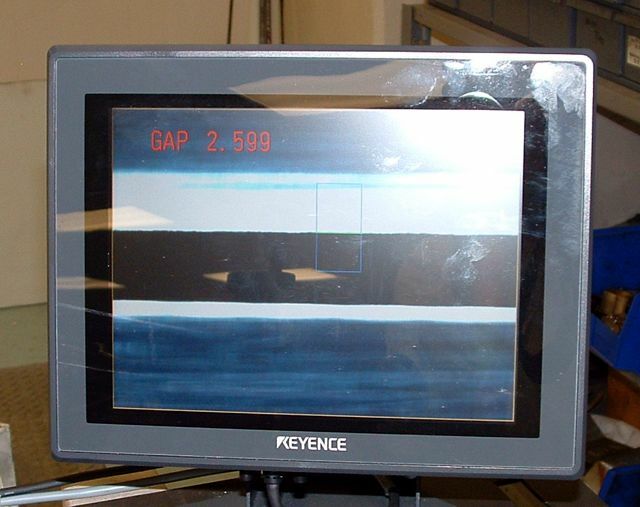 The actual measurement of the gap is displayed in the upper left of the screen in millimeters to within a micron. 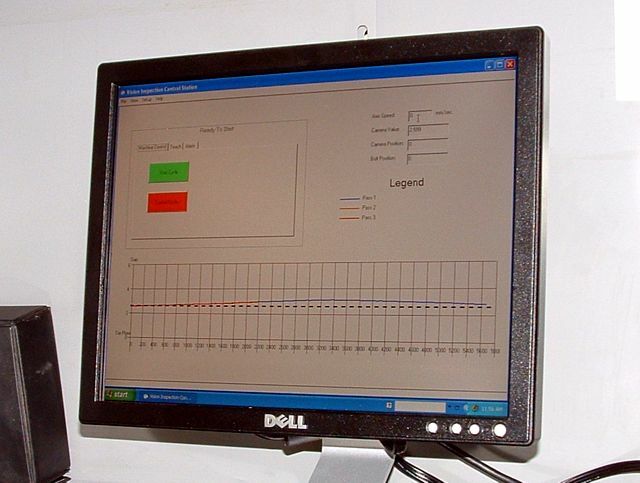 The data from each 10mm measurement of the gap is plotted to a graph, which is configured with tolerance windows. If the measurement is outside the window, the camera will return to the out-of-tolerance position and indicate to the operator what adjustment to make.